The key for all this it Tumblr. 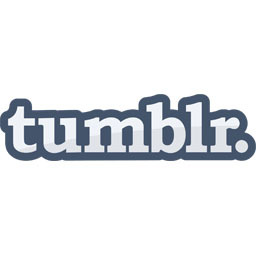 Do you know Tumblr – its a blogging platform where you can post text, videos, quotes, images, audio. 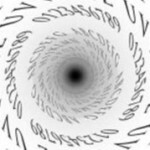 A short form blog. You can follow other users, or make your private blog. And its very easy to use. The good thing about Tumblr (among other good things) is that its do follow links. That means the search engines will follow the link back to your site. So first go to www.tumblr.com and sign up for an account. Here are some advices when you sign up for the account. When you are going to enter the URL field, enter your keywords with dashes between them. This will be your later Tumblr address so be careful doing this. Ready for the next part. Please please please take some coffee. In 5 min. You are done. And you go to www.google.com and you gonna search for precisely this tumblr.com “liked this”. Check out the page ranks of the sites that are showing up. Pick a site with a high PR – and who do follow links back. Now you have a backlink on a high PR website. Okay, maybe it took 12 min. I am not sure. Advice: be careful and do not re-blog or like very often because your account could be disabled. Google is trying to encourage SEO practitioners to stop to consider the PageRank. PageRank is a measure of authority and credibility of a website – with the big sites, international news, as the New York Times, is a mecca for the first page ranking. However, Google now says that the PageRank in the search algorithm is almost useless. Instead, developers want to focus on results, CTR, and bounces, which provide the user with fuel gauges how effectively the site is. Apparently, the results refer to the user visited the page and decided to buy the product, while the CTR measures how many people click on links, when to raise the results of the search engine. 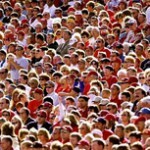 Bounce rate is how many people leave a site visit. Bounce can be an important indicator of the value of a website – the higher the bounce rate, the website less efficient or useful. Conversions clearly shows that users appreciate the site, where they commit to buy. Google wants to stress that sites with high Page Rank does not necessarily come from higher up in search results to a lower PageRanks. Small sites can improve their performance, but to make the content more relevant and useful. Let me know what you think of this – show me you are alive. Would you rather have a video of this?